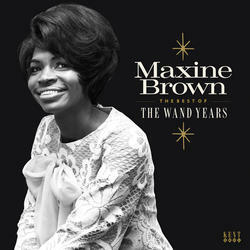 Maxine Brown has been popular in the black music world since her 1960 debut hit 'All In My Mind'. That was credited as one of the first soul records but it was not until she moved to Wand Records in 1963 that her career really took off. This golden period for her included her signature hit 'Oh No Not My Baby' and other beautiful ballads like 'It's Gonna Be Alright' and 'Gotta Find A Way'. These are loved in the UK but it was the more obscure uptempo Wand releases that turned her from an admired artist into a soul goddess on the Northern Soul scene.